In recent days temperatures across the UK have plummeted, making life hard for millions of people with long-term health conditions. During the winter it can be especially difficult for people affected by Scleroderma and Raynaud's. Many of us take it for granted that the symptoms of chilly hands or cold feet will disappear once spring arrives, but that's not the case for many people with Raynaud's. A trip down the frozen aisle of the supermarket or simply sitting in an air conditioned office anytime of the year, can trigger a painful attack for up to one in six people in the UK living with a little known condition called Raynaud's. Up to ten million people in the UK are affected by Raynaud's, yet many living with the condition are not aware they have Raynaud's or that support and treatment is available, and are left to deal with the impact alone. Research from Scleroderma & Raynaud's UK (SRUK), the only UK charity dedicated to improving the lives of people affected by scleroderma and Raynaud's, reveals that only 4% are able to identify the symptoms of Raynaud's. We are tackling this lack of understanding by getting everyone affected to unite and #RaiseYourHands in February for Raynaud's Awareness Month. We have also launched a simple online test accessible via our website to help identify if you may have Raynaud's. At the end of the test you will be given information if you could have Raynaud's and the next steps to take. This could include top tips on keeping warm or downloadable information to take to your GP. For many with Raynaud's it will be a mild inconvenience, but it's important to manage it and help prevent the development of further conditions. One in ten people affected by Raynaud's may go on to develop an autoimmune condition like scleroderma (which can cause disability and can be life-threatening), or arthritis or lupus, which may need further treatment and close monitoring. If you think you may have any of the five symptoms below, take the test today. 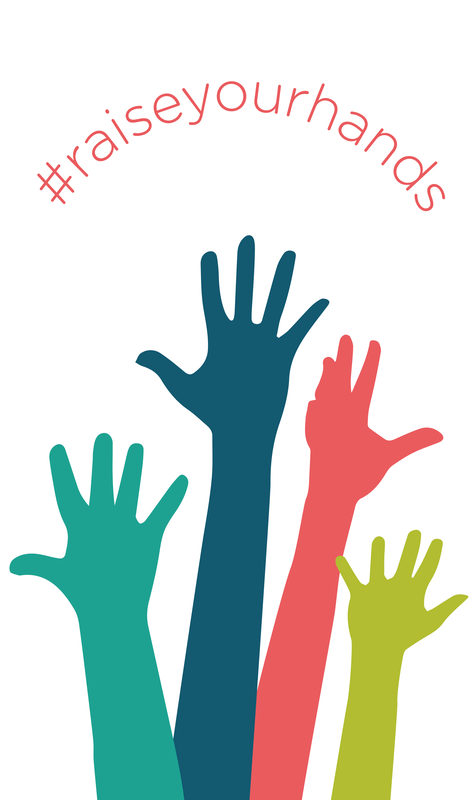 You can find out more about #RaiseYourHands and how to get involved in Raynaud's Awareness Month on the SRUK website.